FALL IS UPON US WHICH MEANS IT'S TIME TO BUST OUT YOUR CROCK-POTS, DUTCH OVENS, AND LONG UNDERWEAR. With cooler days upon us and fall fast approaching, we’ve been craving our favorite comfort foods. One of our go to fall recipes is as simple as it is delicious and takes minimal time and effort to make. It’s also a great recipe for this time of year because it uses seasonal ingredients that you can purchase at your local farmer’s market. 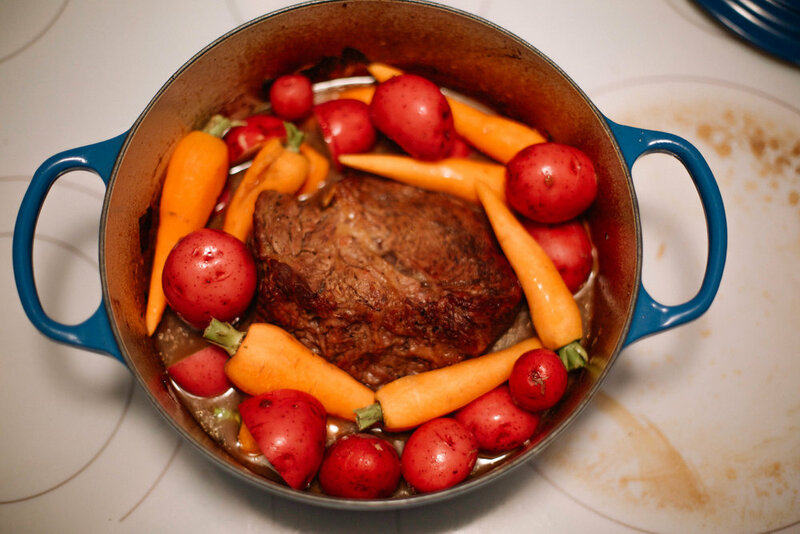 For this recipe, we used carrots, potatoes, thyme, and onions that were harvested from our garden on the Ranch. 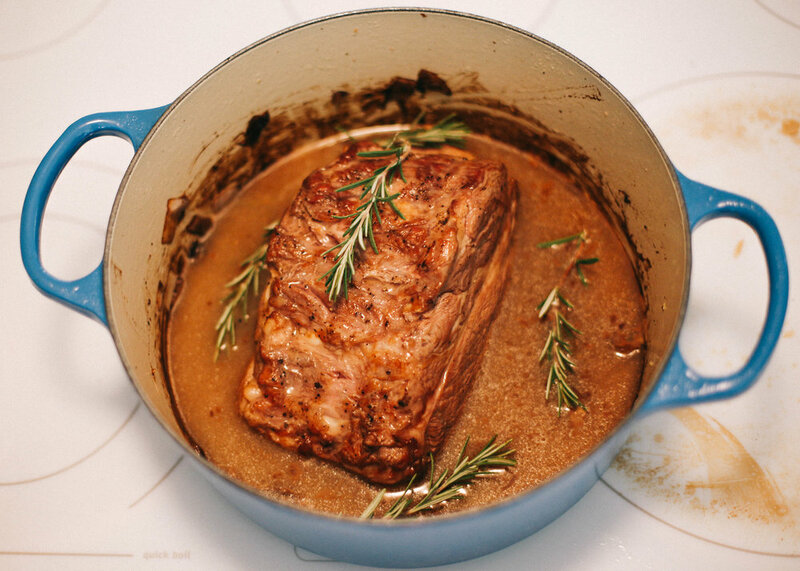 Give this quick and easy Balsamic and Dijon Chuck Roast a try - we guarantee the whole family will love it! Set roast on top of onions in pot. Pour in 2 cups beef broth and add thyme sprigs. Cover and place in oven for 2 1/2 - 3 hours or until very tender. Add carrots and potatoes to pot and return to oven. Continue cooking until carrots and potatoes are tender, 30-60 minutes more. Season well then serve and enjoy!